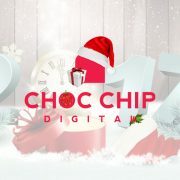 Thank you all to everyone for what has been another amazing year of digital success stories here at Choc Chip Digital. We’ve met new friends and continued to deepen relationships with old ones. Through it all I’ve been continually reminded of how blessed we are to work with such amazing people, so on behalf of the Choc Chip team thank you! Just quickly I wanted to share two things with you. #2 Office Closed: Lastly our office will be closed from Saturday 23rd Dec 2017 to Sunday the 7th of Jan 2018, returning to work again on Monday the 8th of January 2018. If during this period you need immediate assistance you can email emergency@chocchip.com.au. This email account will be monitored during this period. God bless, merry Christmas and a happy new year!